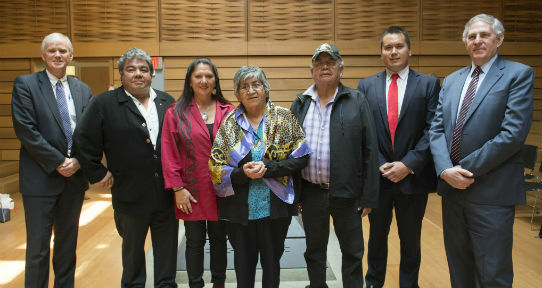 The National Consortium for Indigenous Economic Development (NCIED) is a joint initiative of the Peter B. Gustavson School of Business and the Faculty of Law. It is directed in collaboration with leaders from Indigenous communities, business and government. Indigenous businesses and communities throughout Canada have tremendous potential to revitalize regional economies, contribute to national prosperity, and strategically move forward on their respective agendas with respect to governance, cultural protection, and sustainable community development. The mandate of the NCIED is to create sustained programs of research and action in order to maximize conditions for Indigenous economic strength and resilience. The program will help to advance and share knowledge of best business practices, economic enablers, and institutional mechanisms to foster Indigenous economic development across the country. Canada's future is dependent on the well-being of Indigenous peoples and Indigenous communities. Unlocking the potential for economic development requires careful consideration and an understanding of the structural barriers to capital investment and economic growth.